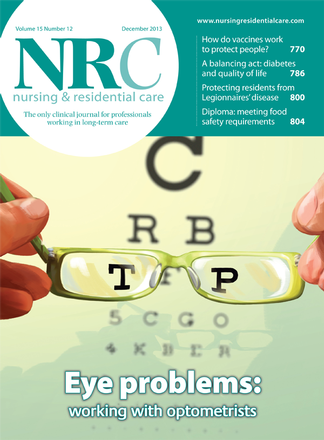 Nursing & Residential Care is the only monthly journal providing essential reading for nurses, managers and training coordinators and care assistants working in care homes. Nursing & Residential Care covers a variety of issues from across the profession and is the only journal that contains a monthly section for those studying for Diplomas in Health and Social Care for levels 2 and 3. Nursing & Residential Care provides practical information, guidance and support on everything you need to know to achieve your qualifications and keep you updated on best practice. Ensure you keep informed and remain ahead of developments with NRC. Be the first person to tell us what you think about Nursing and Residential Care and you'll save £2.50 on your next purchase!